I’ve got DirecTV and I use one of those AU-9 satellite dishes that drives my HR20 DVR player. This brings the beauty of Dallas Maverick’s basketball and Dallas Cowboy’s football right into my home. Except when all I see is ‘searching for signal’, which is what I found off and on during the last week. I decided to manually fix this issue rather than waiting for a repair guy to come over and fix it. With winds and weather, I figured that this would not be the last time I would have an issue with what I suspected was a simple dish alignment. So I purchased an AcuTrac III meter to make the job easier. At over $200, the meter is not cheap. However, I figured it would be a worthwhile investment to learn to do all of this myself. My meter arrived and so I began to learn as much as I could about how all of this “satellite stuff” works. It turns out that there is much more to it than I thought. I’m by no means an expert and I still do not have all the right answers but I figured I’d blog about it for future reference. 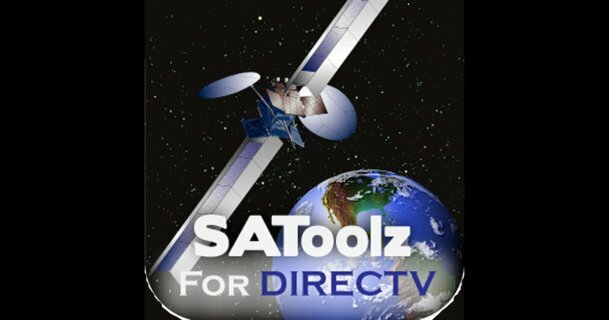 First off, since DirecTV started adding new HD channels to their lineup, they had to launch several new satellites to accommodate the bandwidth. Apparently they are also using some of this capacity for internet access but I’m not certain about that. 110 – Another one of the original 3 satellites. 119 – The third of the original 3 satellites. 99(b) – One of the new ones. 103(a) – Another new one. This is the 1st part of the ‘103’ satellite. 103(b) – The 2nd part of the ‘103’ satellite. The AcuTrac III is apparently better than the previous model (the AcuTrac 22) because its meters can read the Ka signals. However it cannot tell which satellite it is looking at. This was my first misconception. I just assumed that if you plugged a meter up to a dish and pointed it around, it would eventually find the satellite and show the meter’s reading for that satellite. Wrong! You can actually get a meter reading from the wrong satellites. In fact, it appears that you can move the dish around and get readings from all kinds of different satellites. The trick is to find the correct 5 satellites all at once. So you have to get the meter to show readings for all of the satellites at once. Now, to make things more confusing, you have to realize that if you look at the readings on the meter, you will get the signal strength, but if you look at the readings on the HR20, you will see the signal strength for a particular transponder. And each satellite has a different number of transponders, each carrying signals. Important note: You do not need, nor will you get, good signals on all of the transponders for all of the satellites. Some will be strong, some will be weak, and some will not come in at all. For instance, on the 101 sat, I get 32 transponders, most of which have a strength reading in the 90’s. I got this information by looking at the signal strength readings from the HR20. Important Note: The readings from the AcuTrac will not match those on the HR20 is strength. The AcuTrac is used to peak signals, but just because you see a strength of 92 on the HR20 that does not mean you will see 92 on the AcuTrac. You might only see a level of 40 or so. The important part is that 40 should be near the highest peak you can get on the meter while moving the dish around.